When it comes to shopping for baby gear, I’d place good money betting that most parents spend more time researching car seats and strollers than any other items. I know I did. I spent hours reading reviews, comparison charts, and safety ratings and visited numerous stores to see them in action. I was absolutely the person pushing an empty travel system loaded up with my purse to test what it felt like with a baby inside! With so many options out there on the market, it can be hard to narrow down which car seats and strollers are the very best. Rather than focusing on which ones are the best (which can lead to disappointment if you then can’t afford it! ), try focusing on what is the best for YOU, and more specifically, what you need. If you decide on an infant bucket seat rather than a convertible car seat, then you are going to want a stroller that will accommodate it. Why is a compatible stroller necessary? 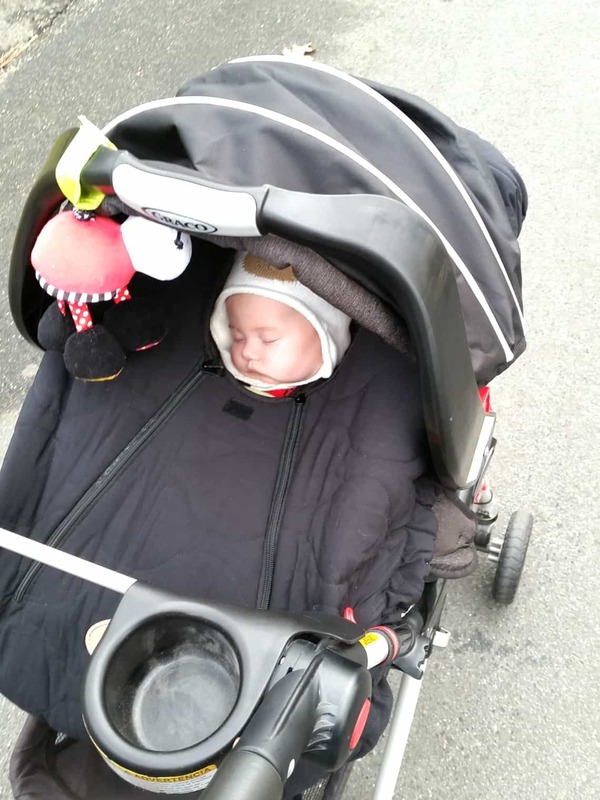 It makes it easy to get out and about with your baby, without having to wake them up to transfer them out of the car seat or lug the bucket seat around on your own. 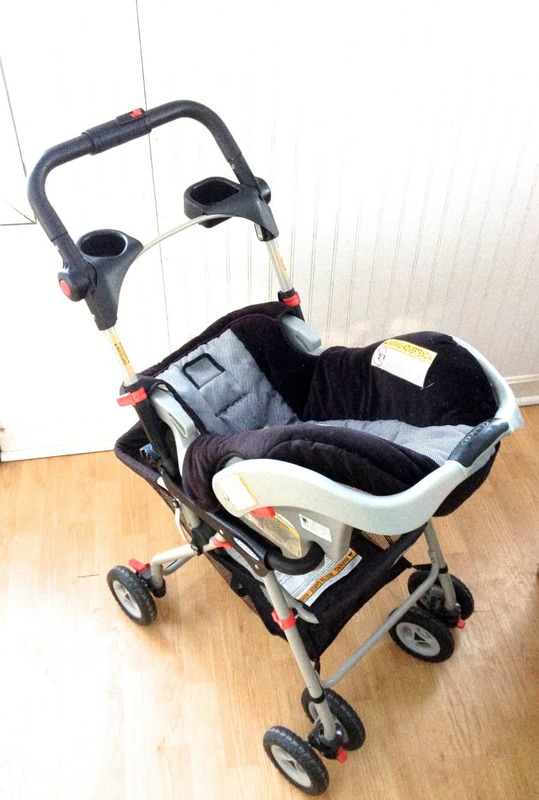 The basic options are a travel system, a universal stroller frame or full-size stroller with an adapter. 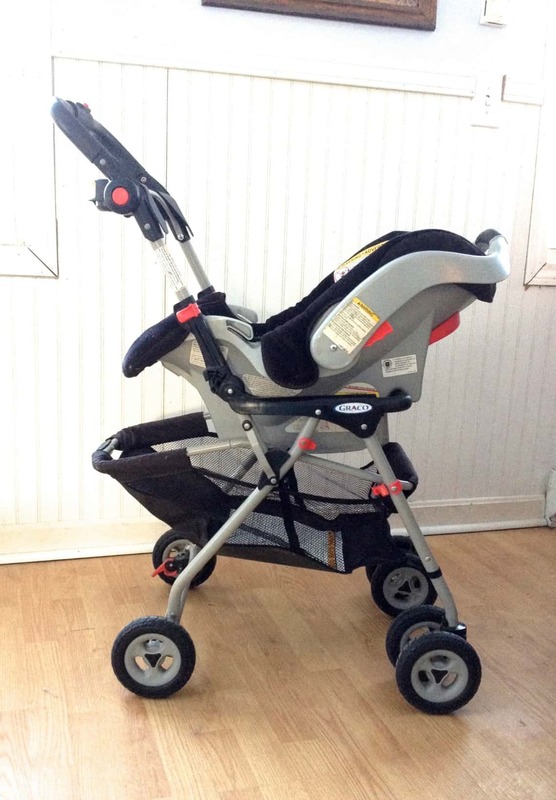 A car seat stroller frame is a bare bones stroller that an infant seat snaps or locks into. It can only be used with a bucket seat. A travel system, on the other hand, is a full-size stroller that can accommodate an infant seat (that comes with the stroller) either by removing the stroller seat or snapping the bucket seat on top of the entire stroller. 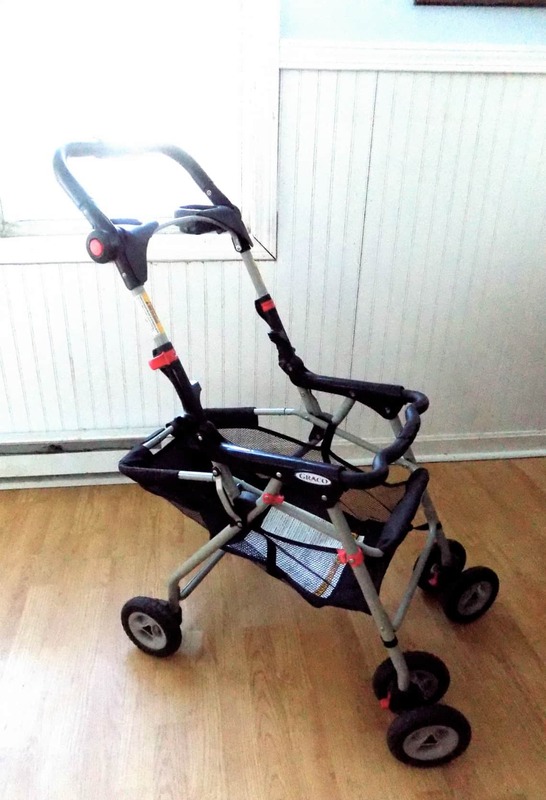 Many regular (non-travel system strollers) have adapters that can be purchased to turn them into travel systems as well, which is the third option. While each has their benefits, for my first child I decided to go with a universal stroller frame, and it worked out quite well for my family. 1. You want something extremely lightweight, and convenient. While many travel systems or full-size strollers tip the scale at 25-30 lbs, stroller frames weigh almost half that. Since they have fewer features (basically just the frame and a basket), frames can weigh as little as 11 lbs. This makes them extremely convenient for running errands and travel. They are quick to set up, take up less space in the trunk of a car, and meet the weight requirement for gate checking for air travel. 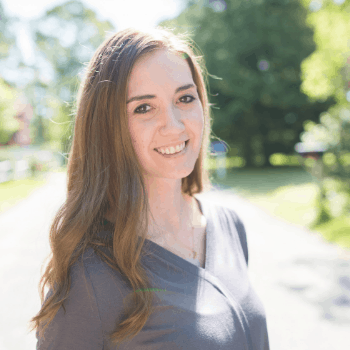 If a travel system or full-size stroller seems too bulky for you (or if you run a lot of errands like I do!) then a stroller frame is a great, quick option. 2. You found your perfect car seat, but hate the travel system options. I decided on the Graco SnugRide Classic Connect 30 for its combination of safety ratings and price (this one is the newer model). However, when I looked at the travel systems that were offered, I didn’t find anything I liked. This might also be the case if you find a stroller that you like that isn’t compatible with your car seat. I ended up choosing a lightweight stroller for my main stroller and it did not have the option of an adapter. To me, the car seat is the most important item as it is the main safety device. Don’t let stroller options sway you from your top choice in this area! 3. You aren’t sure what you want in a stroller or how much you’ll use it. Using a stroller frame at the beginning gives you time to figure out what your lifestyle is like post-baby, and how often you and in what types of situations you will use a stroller. You can easily use a stroller frame for the first 6-12 months (or for however long your baby uses a bucket seat). Some parents may find they prefer to just wear their baby in a carrier and might get an umbrella stroller for quick trips later on. 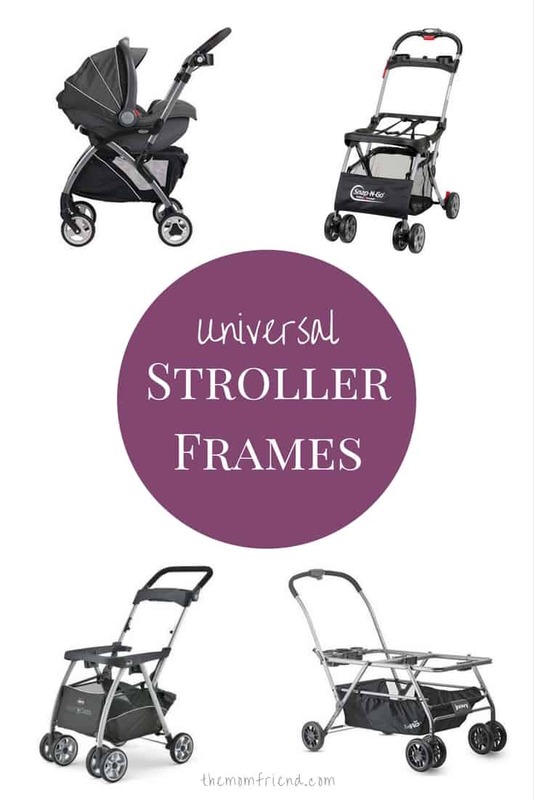 Those are three great reasons you might need a universal stroller frame. But I did promise you one reason you might not! If you are minimalist about baby gear and want something where you have the flexibility to use both the car seat AND take the baby out for a walk without the car seat, then a stroller frame definitely is not the right option for you. The one major downside to it is not being able to use it without the car seat—which it is obviously not designed for. Be diligent in your shopping, however, as some strollers require you to take out the seat before you can use it for an infant seat. This would defeat the purpose if looking for a stroller where you could have the option of both on a whim (such as if you were on vacation and might like to use it both ways on the same day). Thinking a stroller frame might be just what you need? I recommend checking out the different options in a store. While all are similar in function, each has slightly different features, including how easy it is to fold up, maneuverability, basket size and parent console. For me, it was important to have something with an easy, one-hand fold, and easy access to a decent size basket. After testing them out, I ultimately chose the Graco SnugRider as it fit most of my criteria, had cup holders and was in line with my budget. Other popular options include the Baby Trend Snap N Go and the Chicco Keyfit Caddy. For twins, the Baby Trend Universal Double Snap N Go and the Joovy Twin Roo are both great strollers to consider. Whatever stroller you decide to go with, make sure it is one that is easy for you to get out and explore the world with your baby. 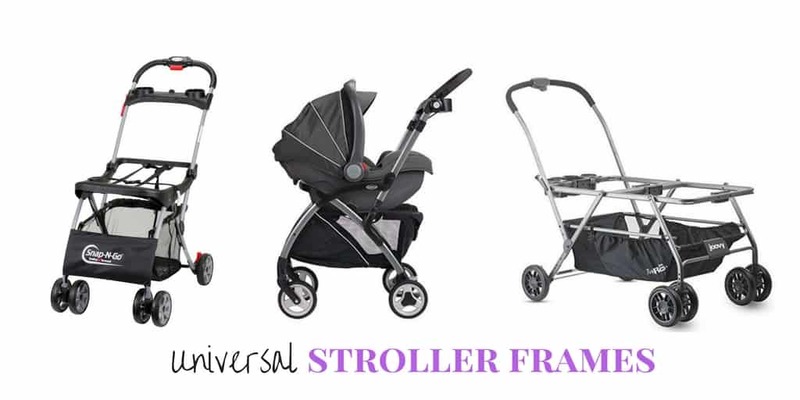 Personally, I think the universal stroller frame is a great way to do just that.